The cost of building a new home is up about $4,000 because of lumber costs. As hundreds of families begin rebuilding after their homes were destroyed or damaged by the wildfires in California the Trump administration's trade policies could increase the price tag for building new homes. More than 1,000 homes have been destroyed in the wildfires in California this year and hundreds more homes and buildings have been damaged. The Trump administration has enacted tariffs on materials used for construction, including lumber, steel, and aluminum. Prices of appliances like washing machines and solar panels are also expected to go up as a result of tariffs, which could add to costs of rebuilding or repairing homes damaged by fires. 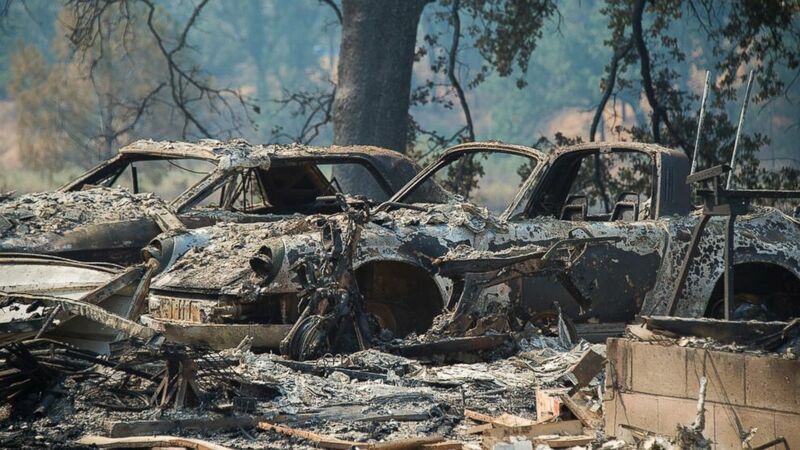 (AP) Vehicles and homes on Wolf Creek Road were destroyed in the Pawnee Fire in Lake County as residents were forced to evacuate and the fire continued to burn out of control on Monday. The National Association of Home Builders says the supply of lumber in the U.S. is not enough to meet demand and that prices have been going up since January 2017, and even more so since the president levied tariffs on lumber from Canada. The group estimates that lumber prices have increased the price of an average single-family home by $4,000 based on current lumber prices. Overall homes are getting more expensive and more are outside the budget for families earning the median income in the U.S. NAHB says housing affordability is at a 10-year low in the second quarter of 2018. President Donald Trump tweeted Wednesday that tariffs are leading to "great new trade deals." He has previously announced that the U.S. will work with the European Union to relieve tariffs on steel and aluminum but has not said that he will remove the tariffs on Canadian lumber or reach a deal on the North American Free Trade Agreement. But tariffs aren't the only thing driving up the price of buying a new home. Several cities in California already have some of the least affordable housing markets in the country, according to NAHB and the National Association of Realtors. Higher mortgage rates, the availability of labor, and a more competitive market in larger markets could also drive up the costs for homeowners or developers looking to buy or build new homes. 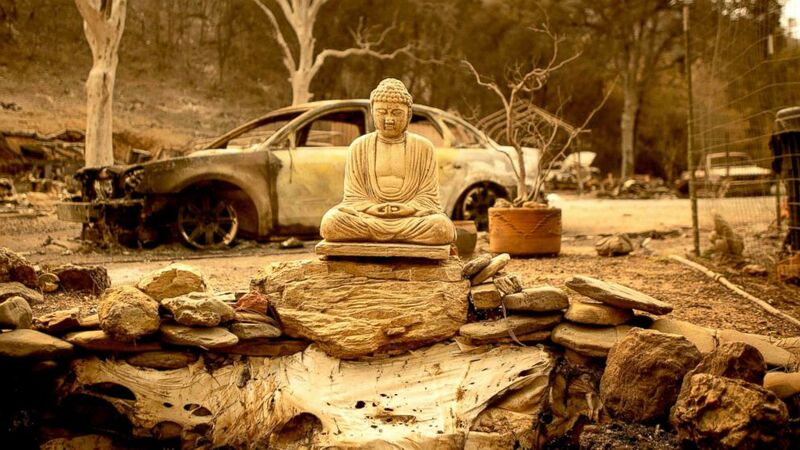 (Josh Edelson/AFP/Getty Images) A statue of the Buddha is seen at a burned home near Clearlake Oaks, California, Aug. 7, 2018. The raging Mendocino Complex fire comprising twin blazes in the western state's north has now ravaged more than 290,000 acres. Lawrence Yun, chief economist for the National Association of Realtors, said economic growth, low unemployment, and a large population of young people should be driving home sales but that the lack of new homes are driving prices higher. "The unaffordable conditions in many of the largest metro areas – especially in the West – continues to be a growing concern for many middle-class households aspiring to buy a home,” Yun said of the most recent home sales numbers. “Homebuilders, facing higher costs and labor shortages, are simply not producing enough affordable homes to satisfy demand."